16 individually adjustable and removable snare guts allow for a customized sound. 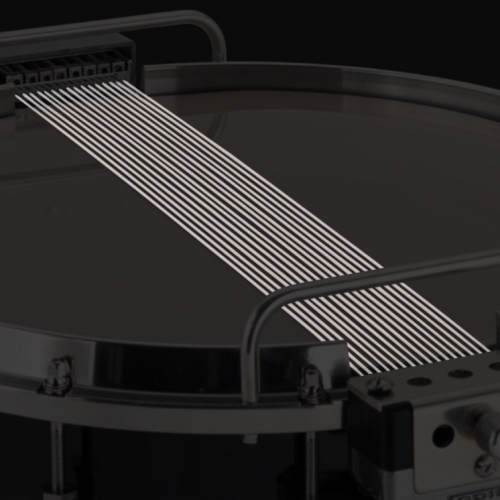 Stabilizing steel snare guards protect the snare unit while supplying safe and balanced support. 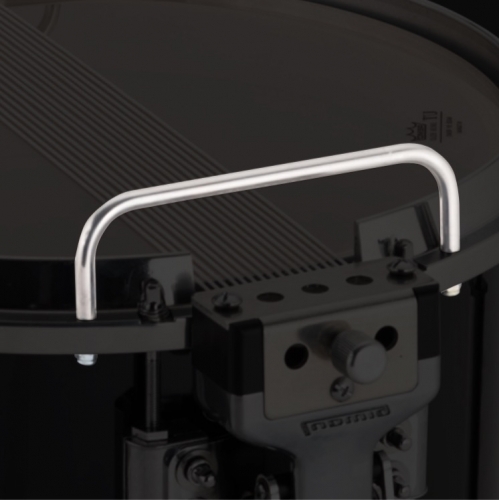 Lightweight polished aluminum hardware gives the drum a finished look while offering maximum strength and durability. 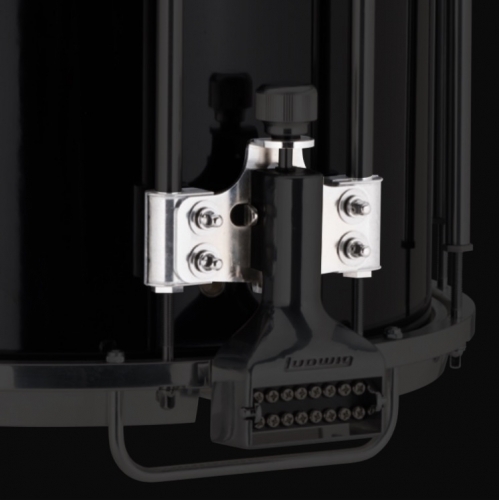 Steel mounting brackets feature key rod fasteners, reducing the chance of stripping the adjustment. 8-ply shell and lightweight frame combine for a total weight of only 15.6 lbs. A 20% reduction over the previous model. 8-ply, 100% North American Maple. Maple shells offer a high level of sensitivity, a dynamic tuning range, and a sharp attack, making them the perfect fit for the marching arts. 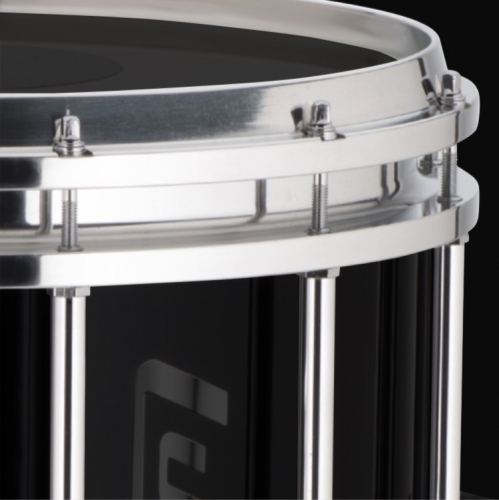 Each snare side bearing edge is a 45-degree inner cut with a 1/8" radius round over. This edge is hand-sanded to the craftsman’s touch to assure a smooth, even, at surface for easy head seating; the final touch to complete the unmistakable Ludwig sound.